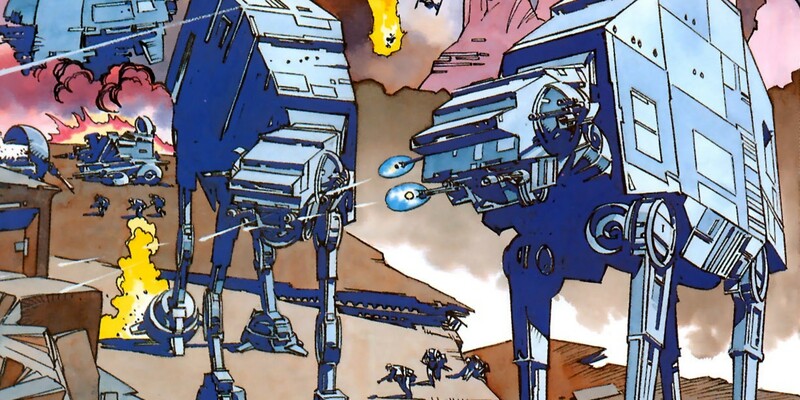 Welcome to the last of 12 articles revealing — for the first time ever — material cut from Star Wars: The Essential Guide to Warfare before its April 2012 publication. Each section will be preceded by brief comments discussing why the material wound up on the cutting-room floor. Jason Fry: This piece was written for Star Wars Insider way back in 2006, along with portraits of Kligson and Wermis, and later revised to account for new lore in James McFadden’s StarWars.com feature “The Forgotten War.” For more about these pieces’ star-crossed journey to eventual publication, see the eighth Author’s Cut. The Wermis portrait will remain on the cutting-room floor, but hey, two out three ain’t bad. If you recognized the name Rur without heading over to Wookieepedia, my helmet with blast shield is doffed to you. Erich Schoeneweiss: Once again Jason shows his admiration (and knowledge of) the old Marvel Comics stories. This is well written and focuses on a character central to the conflict with the Nagai; I think it would have made the cut, and Bey would have made for a cool illustration. As a boy on Tatooine, Luke Skywalker heard the same tales millions of other children in the Outer Rim did: When hope appeared lost, Bey had appeared again. The mysterious white-haired giant had rescued the innocent and brought the wicked to justice — and then disappeared before anyone could thank him. 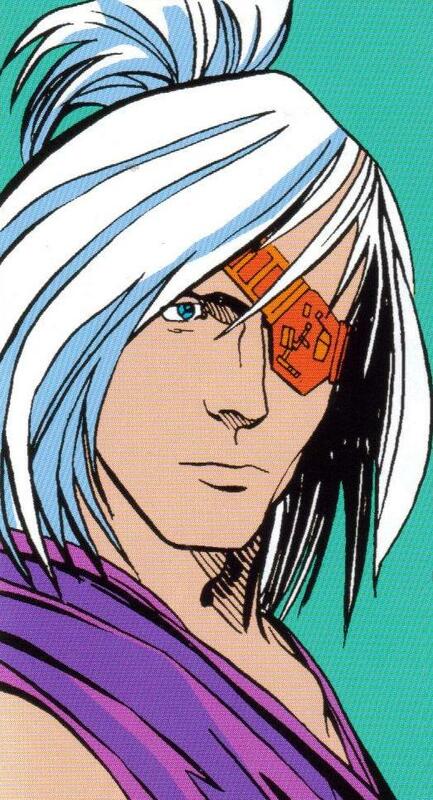 But who was this one-eyed wanderer? There were almost as many theories as there were tales. Bey was said to be a former slaver who’d had a change of heart, a fugitive Jedi, or one of the Emperor’s most-trusted agents. The truth was at once less exotic and far stranger. Bey’s father was a Corellian tramp-freighter captain; of his mother, all Bey knew that his father would weep over holos of her when drunk, railing at her for leaving him. Over the years drink and spice ruined Bey’s father, who took out his frustrations on his unnaturally tall, pale son. The streets of Coronet were a hard place for abandoned children, but Bey’s limitless curiosity sent him all across the sprawling city, and his calm demeanor won him a reputation as a street kid who could be trusted for delicate errands. The errands he liked best involved Far Suns Ventures, a Corellian company dedicated to scouting and exploration. Far Suns’ band of grizzled hyperspace scouts took in the lonely boy, letting him sleep in unoccupied scout-ship bunks while telling him tales of uncharted worlds and their wonders. Bey became a particular favorite of Anahul Sato, the gruff dockmaster of the exploracorp’s private spaceport. Sato gave the boy a smattering of formal education and taught Bey to use a hydrospanner. It didn’t take much urging from Sato for Far Suns’ scouts to start taking the youth on missions into the imperfectly explored patches of territory that made up Wild Space, as well as the unmapped void of the Unknown Regions. 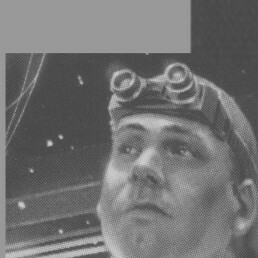 Before the Clone Wars were over he’d won a place in the Far Suns ranks – while he wasn’t a flashy pilot, he had a knack for finding strange worlds beyond the Rim and the diligence to compile minutely detailed surveys of those planets and their possibilities. Bey’s successes soon won him a Far Suns ship to command — the Voidrunner — and plenty of credits. But whenever the young scout returned to Coronet, he’d wander the back alleys of Blue Sector, or chat up Treasure Ship Row’s alien merchants about the legends of their homeworlds. Bey had a particular soft spot for Coronet’s street children, offering them credits, a place to sleep, or some stern advice. One of those urchins was a vagabond pickpocket named Han Solo. The hulking scout taught young Han how to fight; more importantly, he taught him that there are things worth fighting for. Far Suns adhered to the time-honored tradition that after 50 successful missions, a scout won associate status, the title to his scout ship, and the right to work as an independent. Bey reached that milestone quicker than anyone in living memory, and soon was off on missions of his own, ones concerned with his own past. Who was the raven-haired, sharp-featured woman in the holo he always carried? Had anyone encountered near-humans like her before? Bey asked those questions in countless spaceports, showing the holo to merchant princes in glittering space stations and to smugglers on hardpan landing strips beyond the Rim. The things he saw in his travels hardened him: the casual cruelty shown to the downtrodden and desperate, the pirates plying their lawless trade all but unopposed on the spacelanes, the trafficking in sentient beings that still plagued the Rim. As his hope to find his mother’s people ebbed, his determination to right wrongs intensified. He continued scouting, but he also became a vigilante, a towering figure feared by cantina bullies and slavers alike, and increasingly celebrated on his homeworld, where he was invited to join the Corellian Security Force. In one of his most-famous CorSec missions, Bey bluffed his way aboard the starliner Pendrake’s Horizons after its seizure by Thalassian slavers off Phibia. Posing as a Thalassian enforcer, he looked over the passenger list and claimed to spot two Mistryl Shadow Guards traveling under assumed names. (Bey had already freed the two passengers from their stateroom, breaking the neck of their Thalassian guard before stashing them aboard the Voidrunner. The missing passengers were in fact exactly what they appeared to be – dour spinsters from Meedis Minor.) Bey led the search for the mythical Shadow Guards, an increasingly desperate undertaking that saw slaver after slaver meet a grim end. The real killer was, of course, Bey himself; he eventually captured the remaining Thalassians and turned them over to the authorities on Arkanis. Several Corellian grandees had been aboard the Pendrake’s Horizons, and Bey’s heroism won him the Corellian Bloodstripe. 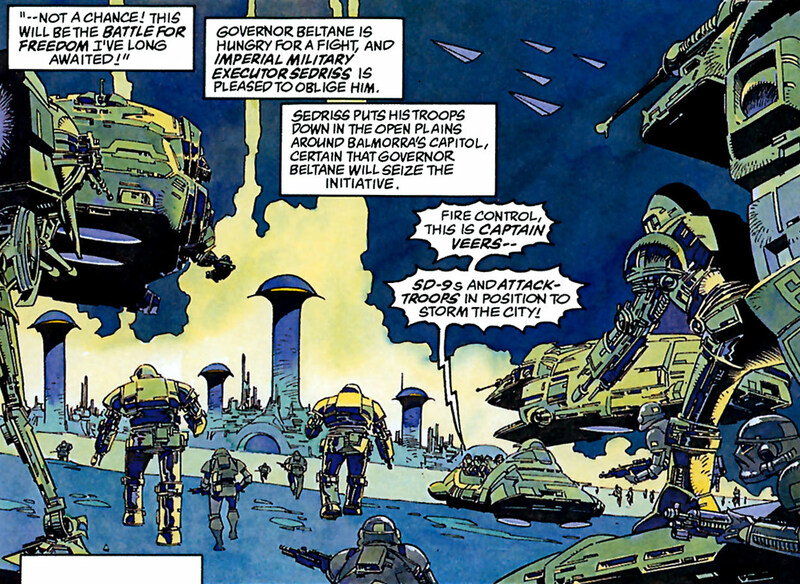 But a pro-Imperial faction gained control of CorSec, and a half-alien hero didn’t fit with its plans. Working in secret, pro-Imperial CorSec agents plotted his downfall. CorSec sent Bey into the Outer Rim to investigate the cult known as the Acolytes of Dread Rur. The Acolytes held that the only realities of existence were the furnaces of the stars and the void of space; all other forms of existence were an accused obscuration of this Terrible Glare, and it was duty of Rur’s elect to snuff out such abominations. The Acolytes captured several star liners and sacrificed their crews and passengers by restraining all aboard and plunging the ships into nearby suns. When they seized a Camblian Order liner carrying more than 200 youth scholars off Glova, Bey sped to the rescue. He boarded the liner and freed the passengers, but the Acolytes had rigged the transport with explosives — a detail somehow deleted from the CorSec briefing sent to Bey. He was still aboard when the bomb detonated. Bey survived, but was badly injured. When he awoke in a Coronet hospital, his old friend Han Solo told him he’d permanently lost his left eye, but his right one could be restored with a cybernetic implant. Bey recovered, his left eye now covered with an electronic patch, but CorSec claimed his impaired vision left him unfit for duty, and dismissed him from the ranks. With his CorSec career over, Bey reclaimed the Voidrunner from an impound lot on Daemen, and spent several more years as a vigilante on the Rim. But increasingly his travels took him into the Unknown Regions. And there, at long last, he discovered the truth: His mother was an advance scout for the Nagai, ruthless near-humans who’d decided to wait for the galactic civil war to burn itself out before launching an invasion. Bey was shocked. But when he made his way to Nagai Space, his mother and her family accepted him despite his mixed parentage. He admired the Nagai for their disdain of weakness and victimhood, and saw them as the salvation of a galaxy caught between an Empire that pledged strength but let evil run riot and a rebellion that talked of peace but spread disorder. As his mother had done years before, Bey preceded the Nagai invasion, acting as a double agent. 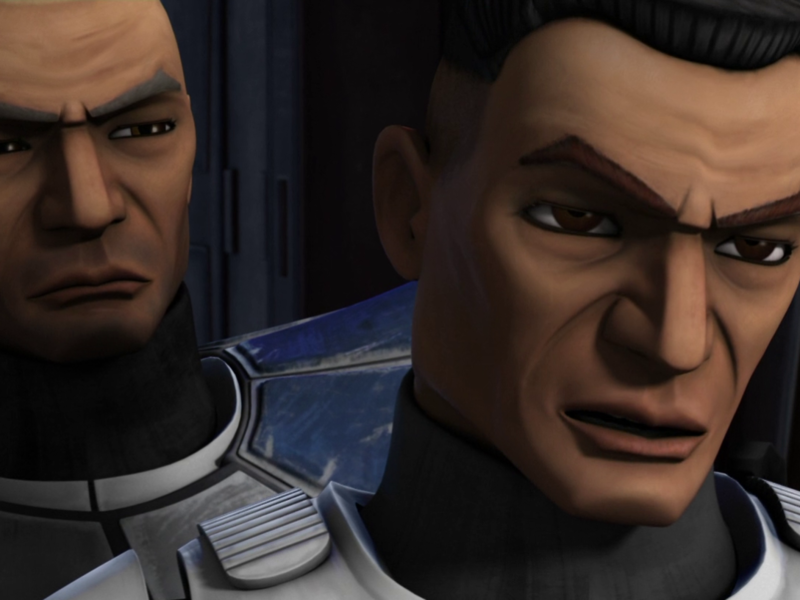 Answering the call of his old friend Fenn Shysa, he fought alongside the Mandalorians and convinced Shysa to bring him to Endor, where he betrayed the Alliance to the Nagai. But he found himself caught between his old friend Han Solo and his half-brother Knife — mortal enemies who each saw him as a traitor. As the Nagai and the Alliance battled, Bey saw a chance for a final betrayal — one that could make everything all right. He secretly contacted Admiral Ackbar, explaining the Nagai’s history of subjugation at the hands of the brutal Tofs. Ackbar sent Bey, Kyle Katarn and other agents on a secret mission to Saijo. Disguised as a Tof, Bey blindsided Lumiya and shot her, securing the Tofs’ defeat. Once again, Bey was a hero. This time, he had risen above his contradictions: He was neither Nagai nor Corellian, Alliance partisan or Nagai scout. After helping free Nagi from the Tofs, he served the New Republic as an emissary to the Tof Worlds, seeking once again to be a bridge between civilizations. Jason Fry: If you’ve ridden an Amtrak train along the Northeast Corridor, you’ve seen Trenton, NJ’s sign offering the same message as Balmorra’s. I thought it would be fun to port that proud/defiant/mournful declaration to a galaxy far, far away, and to imagine a planet that had basically been a huge pain to every galactic government in history. In hindsight, this could have been a nice change of pace and tone in Warfare, and inspired a cool piece of art. Erich Schoeneweiss: I’ve been on many an Amtrak train that’s rolled past that bridge offering a view of Trenton’s claim. In reading about Balmorra I was intrigued about the consistency in which the Balmorrans double-dipped, manufacturing arms for both sides of multiple conflicts. Surely a book about warfare should have included such a block of text. So how did we miss this? Honestly, years now removed from the editing process of the book, I can’t tell you. In hindsight I do think we should have included this. Great piece, Jason. For centuries, a gigantic holographic sign awaited visitors approaching Balmorra’s necklace of orbital factories and loading docks: BALMORRA MAKES, THE GALAXY TAKES. Balmorrans claimed the slogan celebrated their planet’s long tradition of innovation and production, which had created droids, weapons, starfighters and vehicles since the Republic was young. But others detected an aggrieved undertone to Balmorra’s greeting, a touchy reminder that Balmorra had been unappreciated and lectured throughout its long history. Balmorra began as a Humbarine colony (and was later home to many Humbariner refugees), but soon declared itself independent, becoming one of the galaxy’s premier makers of weapons and battle droids. Its orbital showrooms and foundries struck many visitors as a high-tech version of an ancient bazaar, with Balmorran manufacturers competing for the attention of customers on mysterious missions. From the beginning, Balmorra brushed aside the concerns of Republic officials wanting to know what they were selling and to whom. War unleashed demand that would be met by somebody, so why shouldn’t that somebody be a Balmorran? After the Great Droid Revolt, Balmorra sought to diversify its products, selling powered armor, battlefield-awareness helms and augmented limb harnesses to the galaxy’s armies. But war droids remained its signature products, which it could sell in any form and offering any function its customers required. Balmorra was an enthusiastic member of the Techno Union. 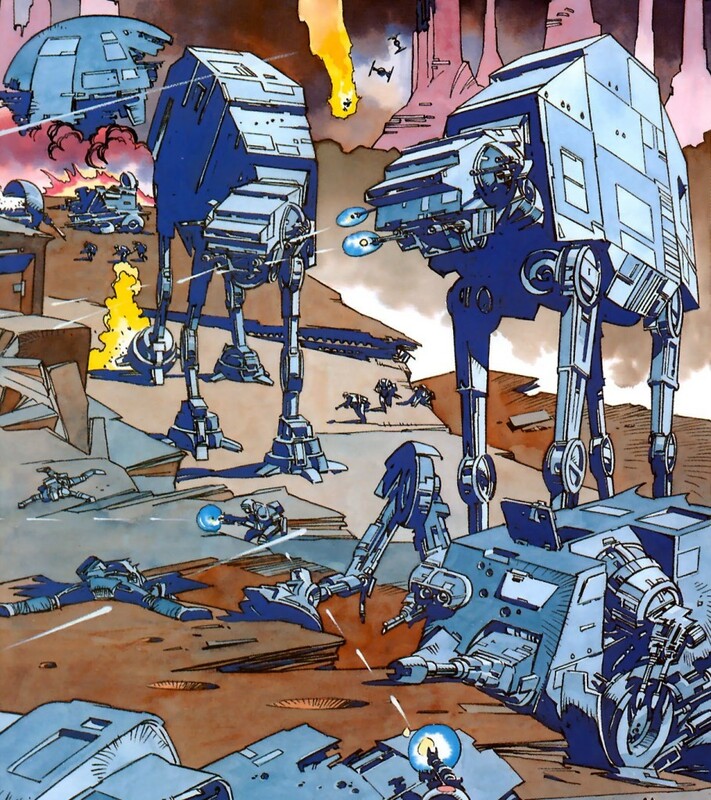 When the Clone Wars erupted, it remained part of the Republic despite turning out B1 battle droids by the millions. When the Republic ordered the factories shut down, Balmorra seceded, defending itself with borrowed Separatist battleships. 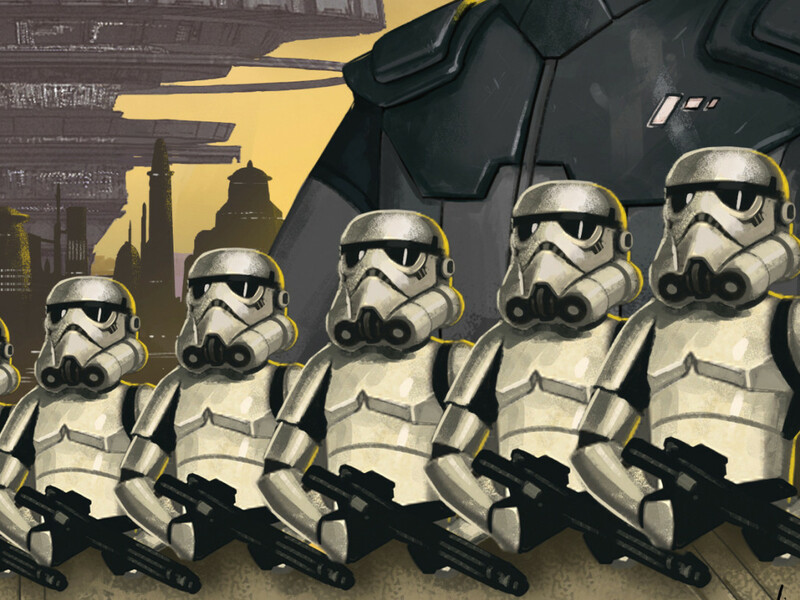 But the planet proved a headache for Count Dooku as well: Its factories often produced B1s side by side with SD-6 Hulk infantry droids sold to Republic ground forces. Balmorra was nationalized by the Empire and manufactured weapons and materiel for the Imperial Army, as well as warship components for Kuat Drive Yards. 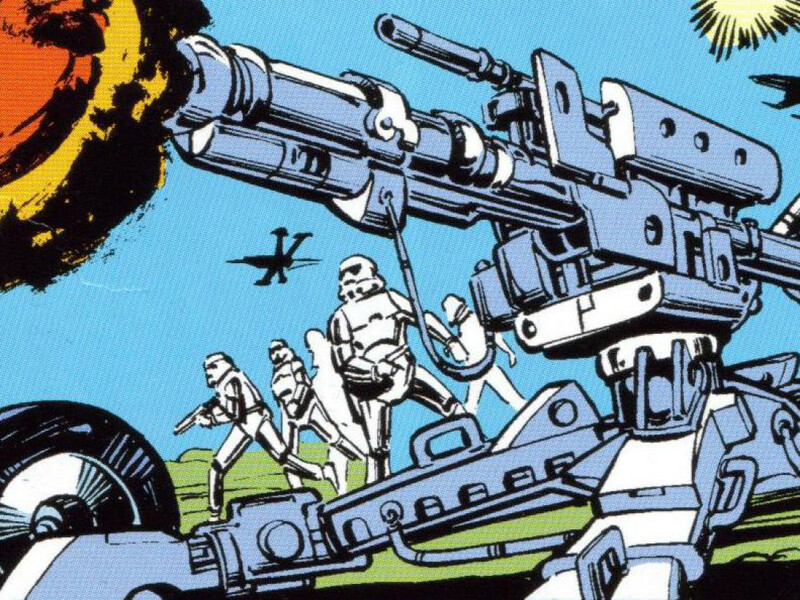 It emerged as the primary builder of the AT-ST scout walker. Yet Balmorran double-dealing continued: The planet’s factories were repeatedly caught producing arms for the rebels. After the New Republic conquered the Core, Balmorra finally had the independence it had sought. To no one’s surprise, it immediately began churning out weaponry for both sides of the ongoing conflict — a course of action it continued after the reborn Emperor retook the planet. The Emperor’s dark-side servants attacked Balmorra with Shadow Droids and SD-9 battle droids, hoping to conquer it with its own products. But Balmorra’s Governor Hinch Beltane coolly ordered Balmorra’s SD-10 droids and Viper automatons into the fray. After they demolished the Empire’s older models, the dark-side adept Sedriss abandoned his attack in return for the chance to buy Vipers — the kind of peace treaty that made perfect sense to a Balmorran. 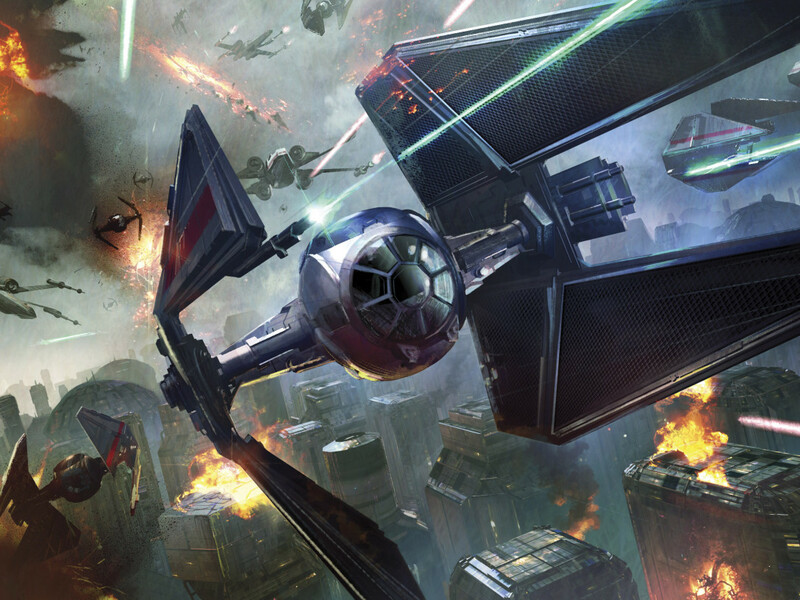 In 40 ABY, the planet was once again caught on the front lines of a galactic conflict, as the Confederation’s Commenorian Star Destroyers and Hutt chelandions sought to take the world from the Galactic Alliance. Convinced Balmorra would fall, Chief of State Jacen Solo sought not to save its people, but to inflict as much harm on the Confederates as possible. Solo’s ruthless tactics helped weaken the Confederation, but a good chunk of the Fourth Fleet was lost, and his willingness to sacrifice the planet became the latest Balmorran grievance. Paul Urquhart: This is an homage to the distinctive vibe of the New Jedi Order novels, and the way they challenged our ideas of identity and narrative structure. It was supposed to act as a thematic conclusion for the Yuuzhan Vong section, so if you have a copy of Warfare within reach, read chapter 19 and then jump straight in to this. The anonymous narrator here originated as a carefully-backgrounded antagonist in The Unifying Force, a character who says nothing, but whose trajectory ends up placing all the hopes of his cause and his people on his shoulders. I’d already highlighted hints that he was created using Jedi genetic material, but I wanted to be very careful that I avoided defining a specific “identity” for him — I was very conscious of how Michael P. Kube-McDowell deliberately pulled Plat Mallar out of nowhere as the naive-teenage-fighter-pilot character in the Black Fleet trilogy, and of Baron Fel’s provocative characterization of himself as “no different than your own Luke Skywalker” in Blood and Honor. Just about every detail here is designed so it can be interpreted as a lie in the first place, and then reinterpreted in about three different directions, absolutely none of which need necessarily be relevant at all. I also knew there was a risk that what I wrote here might end up being reinterpreted in ways I hadn’t thought of or didn’t want, but felt that was the sort of risk I was obliged to take if I had any chance of getting the effect I was aiming for. Ultimately, it’s a piece of verbal “mood music,” and I hope it works as such. Erich Schoeneweiss: I appreciate what Paul intended with this short piece, but I would have cut it. The purpose of the Essential Guides is to present the reader with a book of facts — they’re reference books. Including a piece that (as Paul says) “is designed so it can be interpreted as a lie in the first place, and then reinterpreted in about three different directions, absolutely none of which need necessarily be relevant at all” goes against the grain of the book. That said, this is a fun and well-authored bit of writing that should be presented in a forum in which it will spark discussion, which is why I’m happy that we can present it to you here. The infidels compared me to Luke Skywalker — the lone fighter pilot against the vast weapon-world that symbolized the might of the enemy. This time, the weapon-world was Zonama Sekot, with starfighters swarming like sparkbees above its vast verdant hemisphere, with lightning storms flickering across the forests in reply to the cannon fire in orbit. Instead of a pair of energy missiles, my fighter was infected with the infidels’ own Alpha Red spore, which had poisoned my cadre on Caluula. I am not Luke Skywalker. I failed. Zonama Sekot conjured gravitic power to fling my fighter into deep space. Because of my failure, my people lost their honor and accepted peez — subjection to the infidels. They have been allowed to live like tame tso’asu on the weapon-world, with my betrothed among them. I am a captive of the One Sith — heretics and outcasts even among the infidels. They have given me the outward appearance of an infidel, and awakened Jeedai thoughts inside my head. They say this is my true self. It is a lie, a trick to break me. But I refuse to break. Jason Fry: The story of a soldier returning home is one of the oldest in literature, and I thought Warfare would benefit from such a perspective — in this case, a brutal one that also incorporated what it’s like when war comes to one’s own home. But I also knew that I wanted Stazi’s meditation on war to be the final piece in the book, and this felt a bit too similar. Plus as with so many of the “short story” pieces, it was a logical place to look in finding cuts. That said, I worked hard on getting the tone right — matter-of-fact bordering on numb — and think I succeeded. So that’s something. Erich Schoeneweiss: A fitting end to this 12-part series. This was a lot of fun and I’m thankful to Lucasfilm for agreeing to let us do this. Jason and Paul put a lot of work into writing this book and I’m thrilled you now have had the chance to read most of it. The Force is with both of them. When I came home they’d helped themselves to my house. I knew it would be bad: The avenue was full of shattered transparisteel and the shells of airspeeders. We had to keep our buckets on at all times, because stuff kept falling out of the sky — bits of metal and ceramic and who knew what. In the median, oddly, one of the tchuspera bushes was untouched — someone had put a torpedo through the head of a scout walker and what was left had settled onto its legs, standing over that one bush like it was protecting it. Sergeant Samels brushed the tchuspera with his hip and shook half the dust off of it. It was strange to see a spot of bright green where everything else was gray with ash. 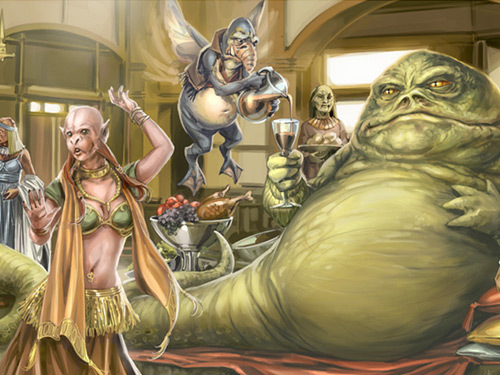 Ploover’s, the cantina on the corner, was missing its doors. It had burned and the Ebla barrels were scattered outside, perforated by laserfire. Ploover’s holo-sign was hanging by a strand of conduit, motionless over the door. I wondered who would take down the sign and fix it up. Because this block would be rebuilt. It would be cleaned up and made right and people would live here again, like they’ve done on Coruscant since forever. But I already knew those people wouldn’t include me. We stopped to rest at the lyceum playground. All that was left were hoops of metal and pools of melted plast — purple and green and orange. My boys had played here, not so long ago — the purple puddle had been a bantha with a goofy grin, while the blue one had been a nerf. There were discarded blaster magazines and discharged power cells everywhere. I still hadn’t told anybody in the squad that this had been my street. I didn’t think it mattered. I’m not the first being to lose his home during a war. I doubt I’m the trillionth. And I knew there might still be Imperial troops there. They’d ruined a good chunk of our world, killed a lot of people who were too poor or desperate to evacuate. They’d ruin a lot more and kill a lot more unless we killed them first. It was simple, really. We cleared the buildings in pairs. Varshin had his DLT-20A; I had a pair of snub pistols. The lift was out, so we went up the stairs of my old unit. The lobby was trashed, littered with discarded ration wrappers. I thought about how angry Old Man Hamedaw would be if he could see it – how he’d work for weeks until everything gleamed, then find a way to remind you every time you saw him until he felt you’d tipped him enough. I wondered if Hamedaw was still alive. I doubted it. He wouldn’t have left his building. We went up the stairs in silence, using hand signals. 2-A, the Sigus’s unit, had burned. The door was stuck halfway up and there was an awful smell. 2-B’s door was open but it had been cleaned out — I guess the Sharlsons got away. And then there was 2-C — the Kinalos residence. Mine. We heard them first, talking quietly but carelessly, the way soldiers do when they think the danger’s past and their officers are being hard cases. They were sitting in two of my old dining-room chairs. Stormtrooper armor, buckets off, blasters propped against the window out of reach. Varsh shot one and I shot the other. They didn’t even have time to yell — just crumpled to the floor and lay staring at the ceiling. My ceiling. They hadn’t done too much to the house — it was dirty and someone had rifled through everything, looking for credit chips or valuables or anything they could find. But it still felt like they had. Henia’s stuffed felinx was lying in the doorway to her bedroom. She must have dropped it. I wondered if she hadn’t noticed in the chaos, or if Tanne hadn’t had time to bend down and pick it up. Maybe they’d been in that much of a hurry. It didn’t matter. My little girl could never see it again. The rest of the units were clear. Varsh and I went back downstairs and they told us orders were to leave nothing for the enemy. I hooded up, got my BlasTech X-42, then went back upstairs to my apartment. I thumbed the trigger and let the fire have it all. Erich Schoeneweiss: Another author was originally onboard to write The Essential Guide to the Military, and while we had not started on that book it’s my belief that it would have been much more focused on specifics of various military organizations – infrastructure, leaders, doctrine, weapons, and key battles. When things did not work out with that author I approached Jason about writing the book. We had just come off of The Essential Atlas and I wanted to work with Jason again. He was very clear with me from the beginning, before I even saw his first outline, that he wanted to take a more narrative approach to the book and that he wanted to change the title to The Essential Guide to Warfare. After discussing with our publishing team and Lucasfilm, we all agreed that this new approach sounded great and that Jason was clearly the person to write the book. He submitted his first outline on October 9, 2009. After review, Lucasfilm’s Leland Chee provided a list of specific things he wanted Jason to include in the book, as did I — including my wish for sidebars about the military specifics I believed would have been in the Guide to Military (thus the Armory and Sensor Profiles and War Portraits sidebars throughout the book). What you’ll see below is pretty much the revised outline that Jason emailed to me on February 9, 2010, and that we approved. Jason Fry: Features in bold were included in the 2012 book. Features in italic were included in the Author’s Cuts. For the rest of the material, notes indicate whether the piece was rethought, reincorporated elsewhere or written but not published in either the book or an Author’s Cut. If no other information is given, the feature was never written. And that’s it! Thanks to Erich Schoeneweiss for supporting the project and offering his recollections and comments; to Leland Chee for taking on even more work; to Matt Martin for agreeing to give this material a home at StarWars.com; to Dan Brooks for keeping the Author’s Cut train rolling after the redesign; to my “with” author Paul Urquhart for recollections and a hasty re-edit or two; and of course to all of you for asking about this material, requesting its publication and spending the last year reading each of the 12 installments.